It's been a year now since the idea of putting up a pocket garden on the right corner of my front yard has been an arduous desire. 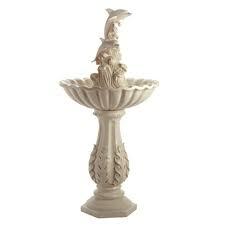 I've been dreaming to have a cool water fountain installed. 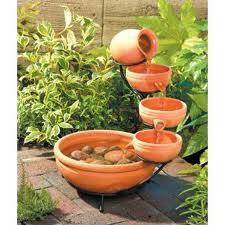 Though I already have now a plain garden around the house with some adorable ornamental plants, coming up with a pocket garden complete with garden decors and a cool water fountain would be a great idea. 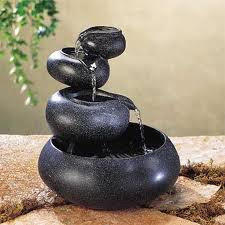 I could imagine how cool and refreshing my feeling would be sitting on a garden bench or from the terrace while having a view of the cute water fountain. 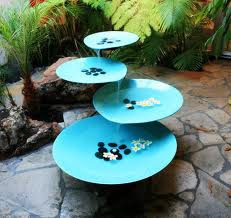 Water fountain is not only a refreshing sight but Chinese people believes that having one in the house will attract positive energy. 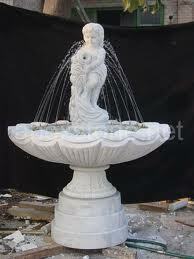 Water fountain is a sign of prosperity and abundance. No wonder why most business establishments that I saw have water fountains in front of their building. Besides, the calm sound of the water brings you close to nature. I had been delaying this project since I knew that having everything installed is such a pain in the pocket. But this does not stop me from keeping it in my list of upcoming projects. For now, I still have to give myself a time to prepare and complete other list of priorities. These cute designs should match the motif of the pocket garden as a whole. To convince myself further, I made a research on the advantages and benefits of having one in your home garden. In today's electronically guided world, there are plenty of devices around that emit negative ions. Negative ions attract airborne impurities like dust. Running water attracts negative ions and many people believe that it cleans and purifies the air around the water fountain. This hot new decorating system works on Middle Eastern principles, and believers say that certain items can bring tranquility and peace to the home. 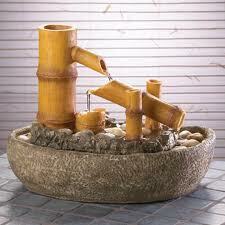 A water fountain in the right area of the house is said to release the "chi" of the home. 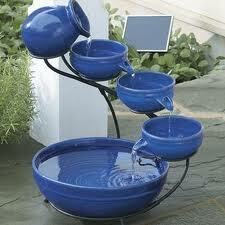 Water fountain can make you feel better, just by being around. Everyone gets stressed out. There isn't anything better than sitting at the end of a hectic day and taking a moment of peace to listen to the sound of water fountain. 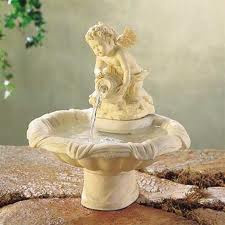 There is something in the sound of a water fountain and the trickle of water that massage away a stressful day. 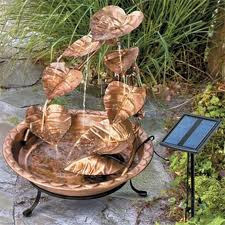 Water fountains allow you to bring out the beauty of nature wherever you want. From contemporary to rustic to sophisticated and charming. 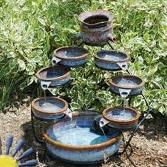 Many water fountains can be considered "works of art" and appear as unique garden art that will wow your friends and neighbors when they come over. Now...having all these in mind...how can I cancel my arduous desire to have one in my house. Have to certainly work hard to have it in place very soon.